Madison Heights, Mich. – DME Company, a leading manufacturer of mold technologies, is introducing a new solution for molders challenged with maintaining a perfectly flat thermal profile: the new Zenith Valve Gate Hot Runner System. The Zenith HRS provides better thermal heat profiles in the nozzle and tip – areas where uniform heat is needed to prevent flow channel hot spots. In addition to improving the thermal profile for the new product, DME also focused on optimizing the supply chain and logistics to bring the system to customers more cost-effectively and with shorter lead times. Zenith technology comes backed by DME’s industry-leading engineering support, global footprint and legacy of serviceability and responsiveness – which all work together to minimize downtime and increase productivity. “DME is a brand you can trust, not just for innovative products like Zenith, which was tailored to meet customer needs, but for all the knowledge, technical support and world-wide resources that come along with it,” said Craig Kovacic, Hot Runner Business Manager. DME Company is an essential mold technologies resource to customers worldwide. Through aggressive new product development, global product standardization and a powerful combination of in-house manufacturing centers of excellence and strategic global partnerships, DME is helping customers succeed in changing times. The company’s standard-setting, comprehensive product line including hot runner systems; control systems; mold bases and components; mold making and molding supplies; and cold runner systems for elastomers — is backed by expert technical service every step of the way. 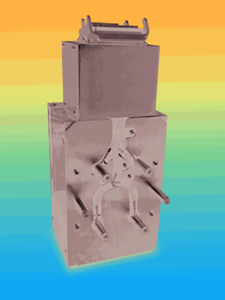 DME also manufactures and sells standard tooling for the die-casting industry. Visit www.dme.net for more information.